Is Your Perfectionism Getting In The Way? - Work Smart. Live Smart. 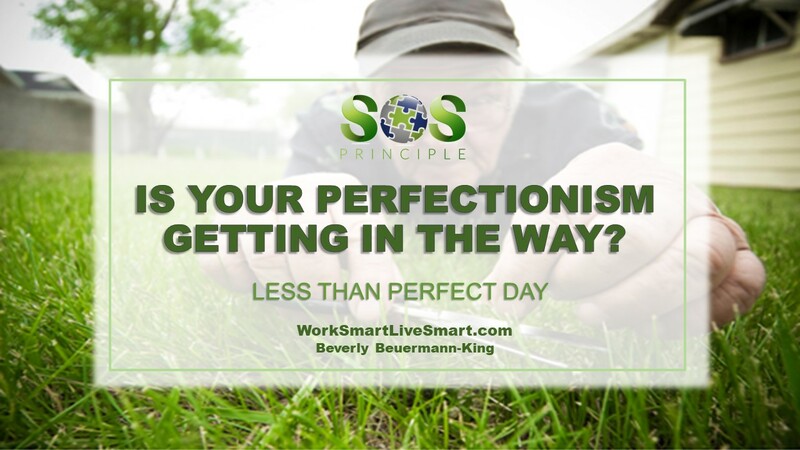 Is Your Perfectionism Getting In The Way? I am a perfectionist. Meaning that I like things done my way. Often I have trouble letting things go. I’m continually looking for ways to improve upon things. I even notice how the trees are arranged haphazardly in my bush and I have to resist the urge to `clean it up’. Perfectionists are extremely hard workers and they generally accomplish more than the average person. However, perfectionists are extremely hard on themselves and on those around them. They see the smallest details of imperfection while for the average person it is not even on their radar. Perfectionism has been linked to anxiety disorders, depressive disorders, eating disorders, alcoholism and many other destructive behaviors and problems. Is There A Problem With Perfectionism? The problem is that many people believe that their perfectionism has worked well for them and that it has fueled their success. Researchers; however, say there is a clear difference between healthy striving and perfectionism causing stress. According to Brené Brown, perfectionism is a self-destructive and an addictive belief system “If I look perfect, live perfectly, and do everything perfectly then I can avoid or minimize the painful feelings of shame, judgment and blame.” Perfectionism is an addiction because it is unattainable and you are not the one in control. Perfectionism is not the same as self-improvement or wanting to be your best. Perfectionism is motivated by the desire to please others rather than yourself. I found a quote that said that “Less Than Perfect Is A Perfect Start.” Something I need to keep in mind. No one is perfect and that is okay. Practice by letting go. Start by giving yourself permission to not be ‘perfect’ all of the time. Leave a few dishes on the counter and walk away. Don’t group all of the pens and pencils on your desk. Don’t waste printing off another copy, just because the words didn’t line up on the page the way you think that they should. Practice self-compassion. Challenge those thoughts of criticism and unrealistic expectations. Stop them in their tracks and change them to something less critical or better yet, take note of the positive in the situation. I am not perfect. Nobody is perfect. I don’t have to be perfect. My best is good enough. If things don’t go the way I want, it’s okay, I can accept that. Even if I don’t succeed, it’s okay, what matters is that I try my best. Know your priorities. Is what you are spending your time trying to perfect a part of your priorities and values? If not, move on. If you have some strategies to share – comment on this posting! Building Resiliency Through Stress and Wellness Strategies. 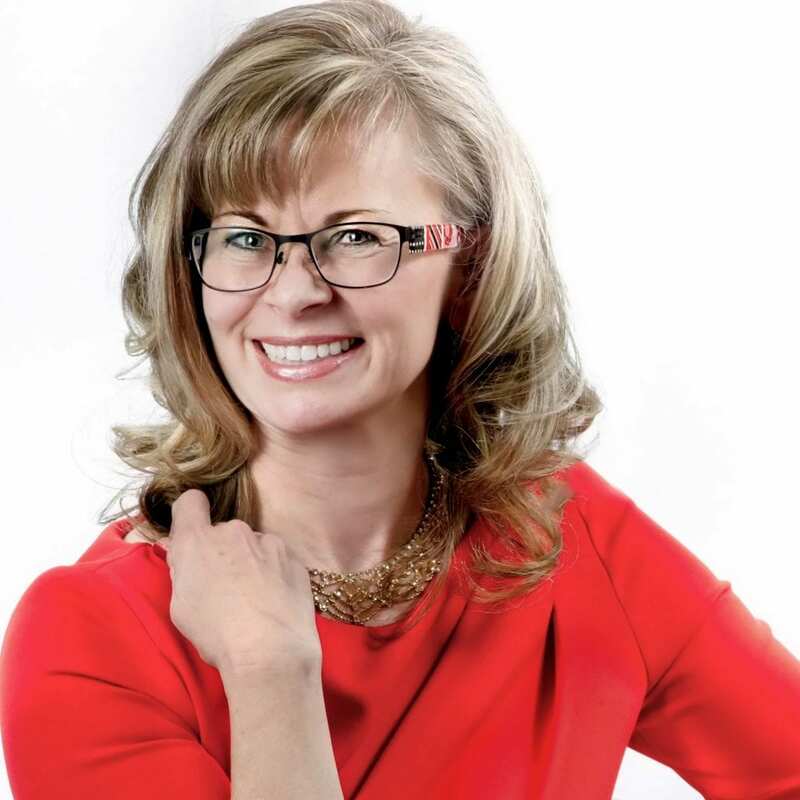 Stress and resiliency strategist, Beverly Beuermann-King, CSP, translates current research and best practices information into a realistic, accessible and more practical approach through her dynamic stress and wellness workshops, on-line stress and resiliency articles, books, e-briefs and media interviews. Are you a team leader who wants tips to manage team stress and build resiliency? Receive the Corporate Wellness Brief. This picture made me giggle as I caught myself admiring the lawnmower tracks on my pretty green lawn…not a blade out of place. I still have lots to work on.